The security situation in Afghanistan is worsening each year despite considerable efforts by the international community. The United States and a number of its allies continue supporting the Kabul government . Large donors from inside and outside the region are responsible for much of Afghanistan’s national budget. Any changes in this situation will affect the government’s stability. The situation is compounded by the country’s internal political and constitutional crises. Regional powers are carefully monitoring the situation in Kabul because of the great interdependency of processes in Afghanistan and bordering states. 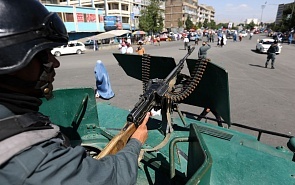 The most fragile states, threatened by Afghanistan’s instability, are to the north. It is in Russia’s direct interest that the situation in Tajikistan remains stable. In their report for the Valdai Club, Ivan Safranchuk, Akbarsho Iskandarov and Kosimsho Iskandarov look at the reasons for the growth of instability in northern Afghanistan, and how this process threatens the Central Asian countries. The authors also analyze Tajikistan’s approaches for preventing threats from Afghanistan.